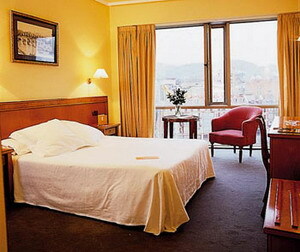 The Barcelo Hotel Nervion in Bilbao is a nine-storey building located 200 metres from the main railway station and the nearest metro station. The hotel is nearby many places of interest. 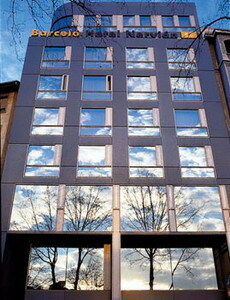 A shopping centre is located 200 metres from the hotel for clothes or souvenirs. The world-renowned Guggenheim museum with innovative architecture from Frank Lloyd Wright is located 300 metres from the hotel. The beach on the north coast of Spain is 20 kilometres from the hotel. 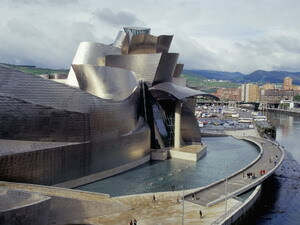 Bilbao Airport is seven kilometres (4 miles) from the hotel. The hotel's restaurant, the Ibaizabal, is open at all meal times and serves a mix of traditional and modern cuisine, specializing in Basque and Italian food. 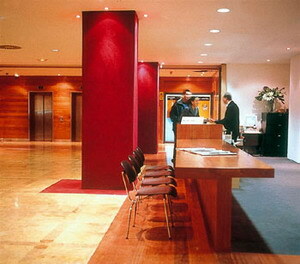 The décor in the Barcelo Hotel Nervion has a simple, modern white and dark wood colour scheme. 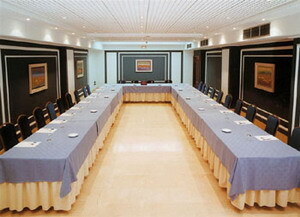 At the Barcelo Hotel Nervion, Bilbao, meeting rooms are also available in the hotel for business meetings or small private dinners. Audiovisual facilities are also available including videoconferencing equipment. Wireless Internet access is available throughout the hotel, for an extra fee. 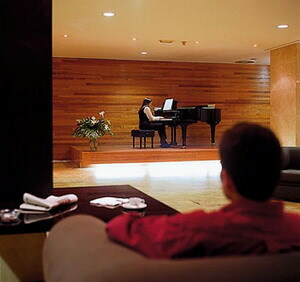 The hotel also has a gym and sauna, plus facilities for guests to relax with massage treatments. Guests can also quiz the multilingual staff at the 24-hour front desk for places of interest to visit as well as assistance with transport arrangements and the storage of valuables in the safety deposit box. Guestrooms have simple decor with patterned bed fabrics. Junior suites have views of the river with curved glass windows and wood laminate floors. 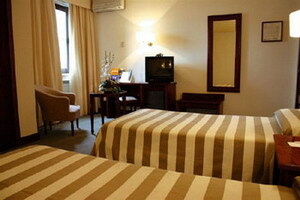 All rooms include air-conditioning, satellite television and minibars.